← Welcome Subscribers and Thank You! I am really excited because I just finished up the first week of my Deck-a-Week Challenge. I want to let you know right away that this is not an original idea. I modeled my challenge after Raecine Ardis Owl Moon’s Monthly Deck Challenge and I want to make sure she gets all the credit for this fabulous exercise. The essence of the challenge is that you choose one deck that you want to get better acquainted with and use it exclusively for an entire week. For those of us who have an extensive collection of decks or who just bought a new deck, this is a great tool for really connecting with a deck that you want to get to know better. For my first week of the challenge I used the Morgan-Greer Tarot. I just purchased it and I wanted to connect with it right away. I spent a little time each day looking through the cards, just enjoying the art. I used it every morning for my personal daily draw. 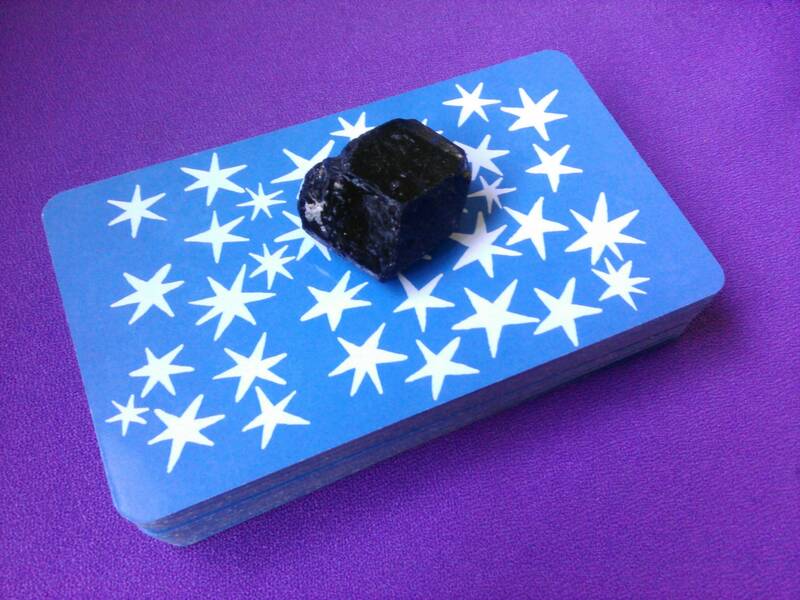 I took it with me to use during tarot related outings, like a local tarot meet-up I went to last week. 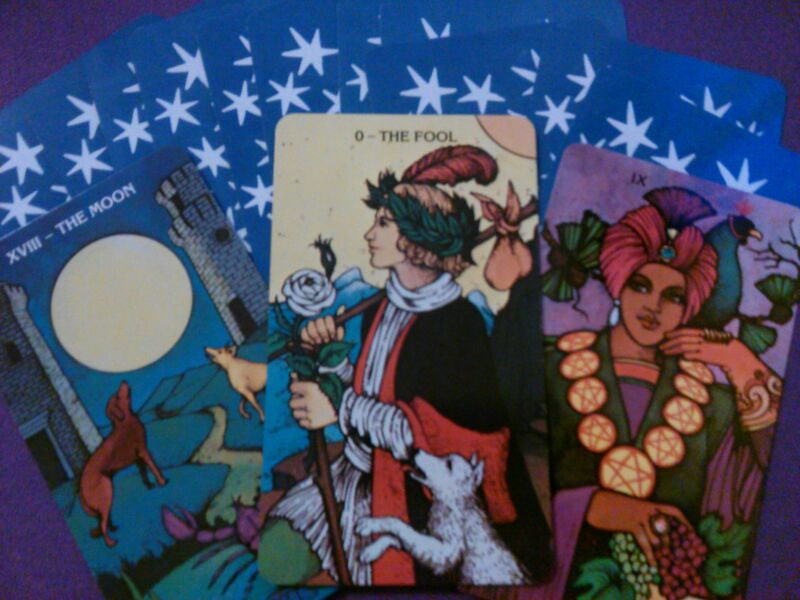 I used it for a couple personal readings during the week and also for doing tarot study exercises. 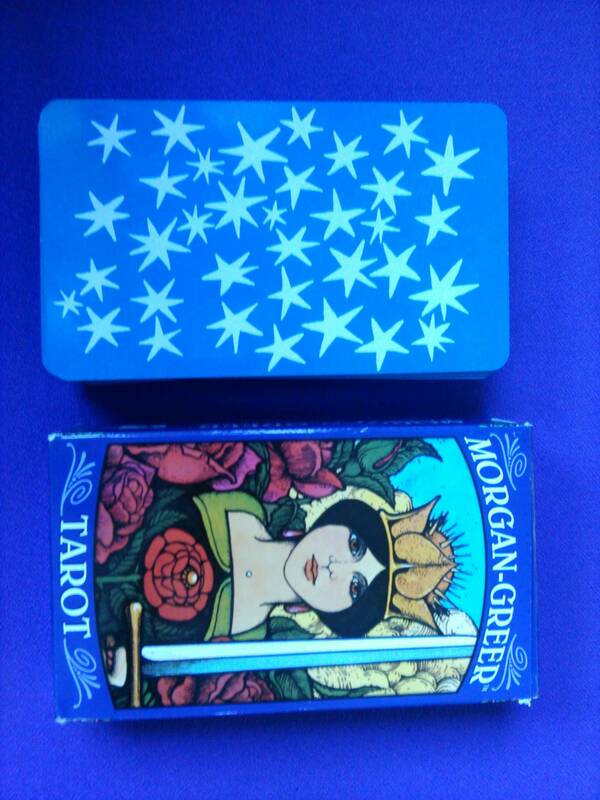 I used Morgan-Greer for all my client readings too, though that certainly isn’t necessary, but I felt drawn to and the deck communicated wonderfully well for those readings. When I wasn’t using the deck I left it out on my altar so it could continue connecting with my energy. If you’re trying to get to know a new deck or reconnect with an old one, I would highly recommend that you try this out, even if you just use one deck for one week, I think its a worthwhile practice. I’ve seen her video’s about the challenge and she has inspired me to try it too. I have definitely missed some of my other decks while doing this. I’m so happy you’ve found this challenge as much fun as I have! Many blessings and much love!! I am SO enjoying reading your blog! !